Sweet and refreshing pear and raspberry organic juice that has been made in the UK on White’s fruit farm in Suffolk from the finest natural pressed fruits. Suitable for vegans. 250ml. The James White Organic Pear & Raspberry Juice - 250ml product ethics are indicated below. To learn more about these product ethics and to see related products, follow the links below. 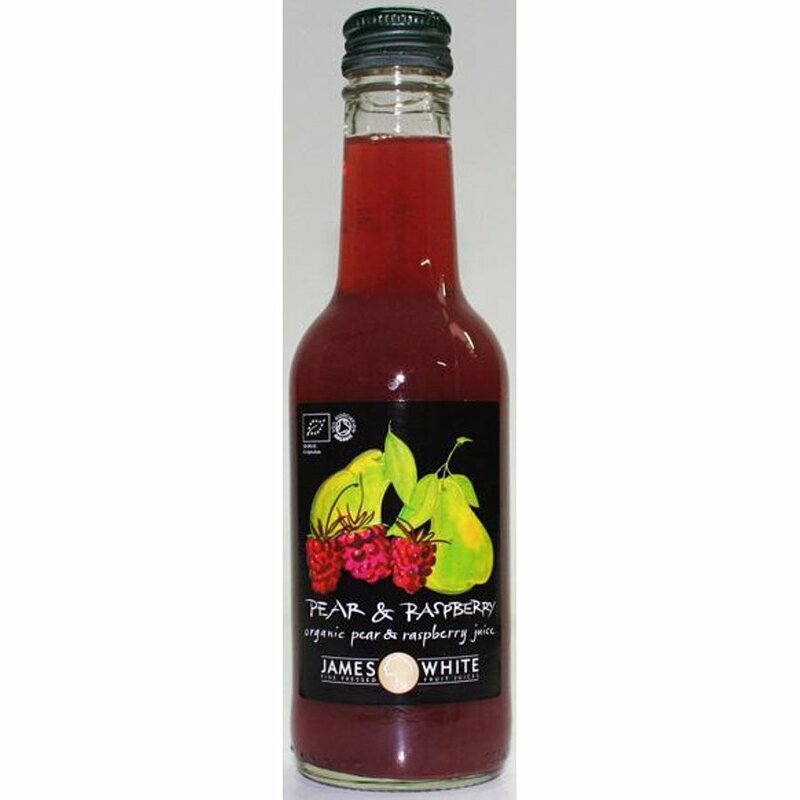 There are currently no questions to display about James White Organic Pear & Raspberry Juice - 250ml.